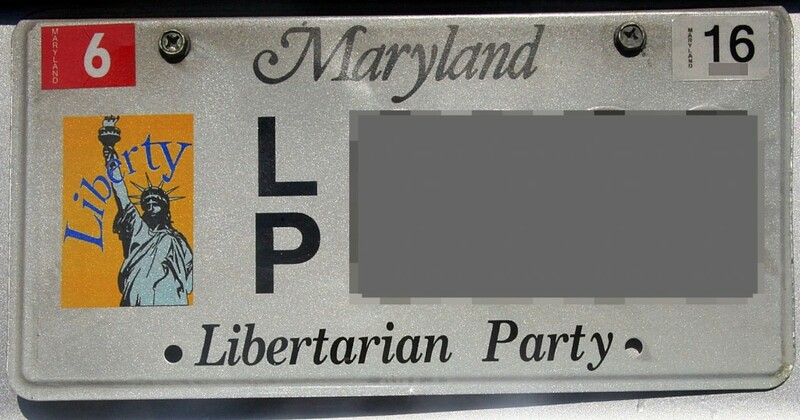 Did you know that you can order Libertarian Party license plates for your car in Maryland? We are one of the few state affiliates able to offer such uber coolness for your ride. 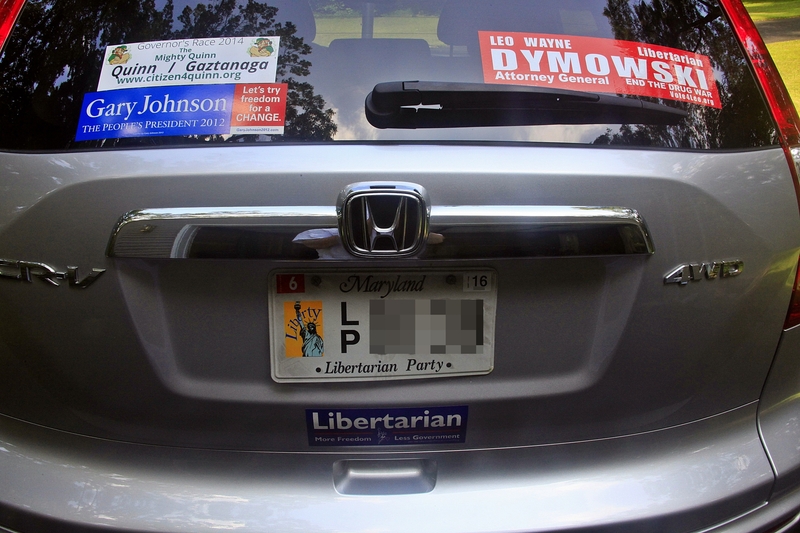 They are technically vanity plates, so you pay the extra vanity fee every two years (currently an extra $25), but they are a great way to advertise the party as many people notice the unique plate. If you’d like to order such plates for your car, please contact our Secretary, Robert Glaser, through our Drive Liberty Home page. He will send you the necessary form. The party does not charge any extra fee for these plates.